The residency at Lancaster Music Festival.. Urban , free, open house, all inclusive mayhem that showcases all that is fine about Lancasters musical scene to the already converted and the about to be converted. 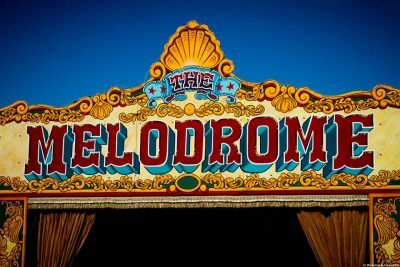 Situated in Sun Square , the cosiest and most child friendly of all of Lancasters historic squares the Melodrome and Minidrome family returned again to provide family friendly , fun packed and festive shows throughout the weekend. 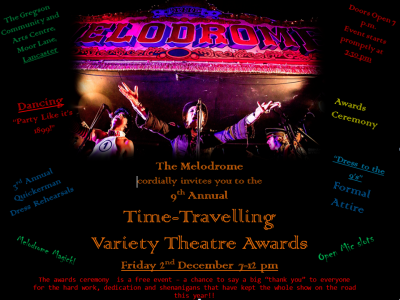 An opportunity to showcase the stage to local, regional and national audiences the Melodrome delighted with its eccentric line up and who knows perhaps let some of the townsfolk see into a world of magick previously unseen by daily eyes. And it was Fun.. Yes fun fun fun !! For the children who danced , for the parents who actually got to see their children dancing and hear music without being in a pub , for the crew who caught up with friends old and new , for the acts who came to play and for the surrounding local businesses who entered into the whole thing with good heart and willingness to help . 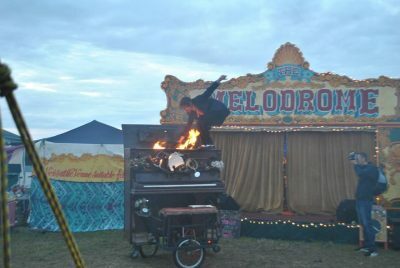 Despite literally hundreds of performances taking place simultaneously all across the city the Sun Square residency once again proved that the Melodrome can deliver a unique show that holds a keen audience … and who knows..perhaps opens their eyes to something new..